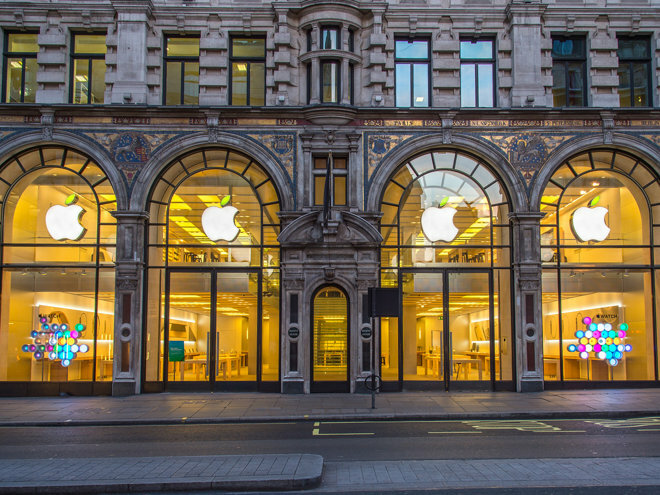 Apple Stores across the globe have once again turned their leaves green in celebration of Earth Day, while a special iTunes Store section highlights environmentally-friendly apps. The green leaf look has become a staple at Apple Stores as the company celebrates the spring day dedicated to environmental awareness. It is one of two times each year that Apple modifies its logo in support of a cause, joining World AIDS Day when the logo goes red. In addition, employees switch to from blue to green uniform shirts and nametags. 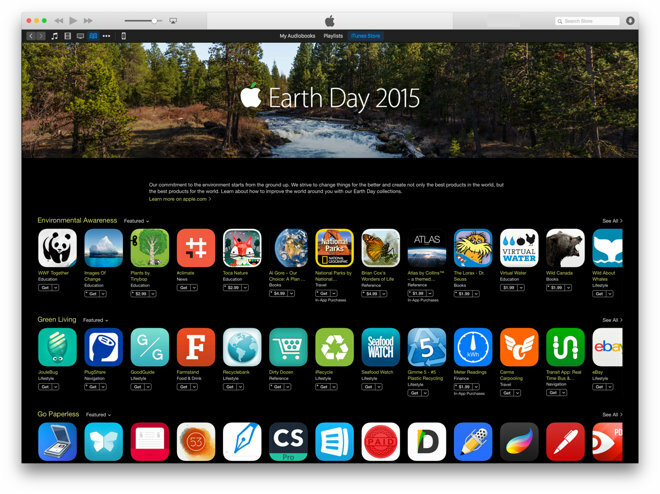 This year, Apple has also added a new Earth Day section to the iTunes Store. It highlights apps, books, and movies focused on environmental awareness and green living.